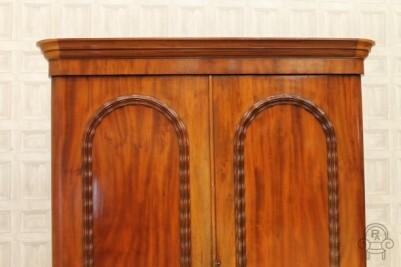 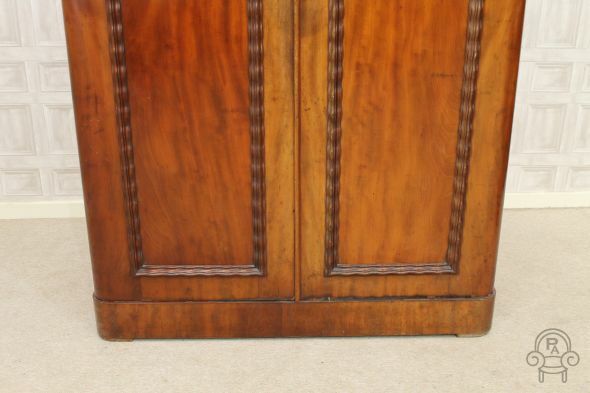 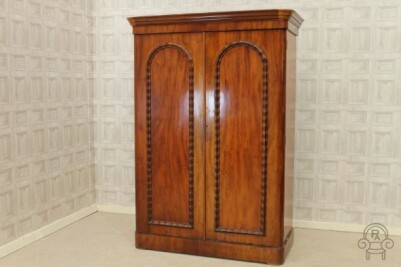 A fantastic example of a quality mid Victorian mahogany gentlemen’s wardrobe; perfect for any period property this wardrobe encompasses a large out swept cornice and arched doors which open up to reveal numerous internal drawers and full length hanging space. 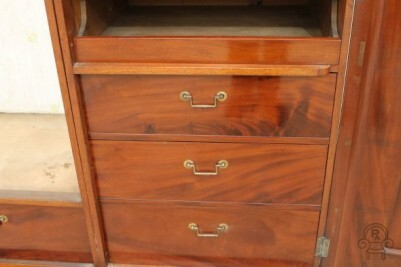 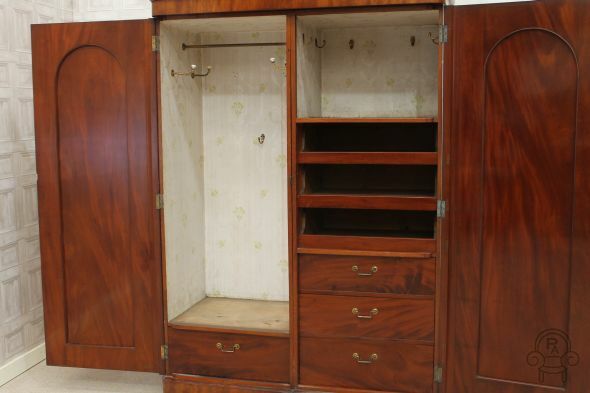 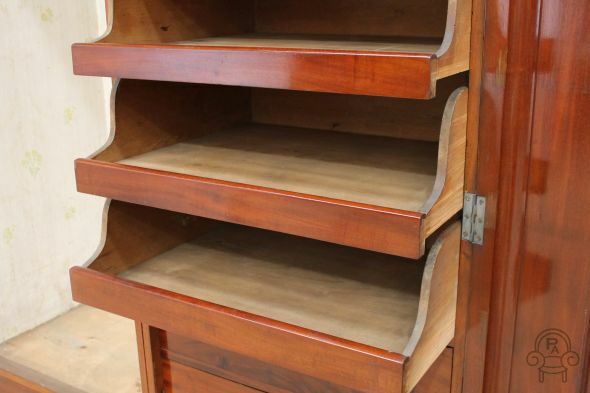 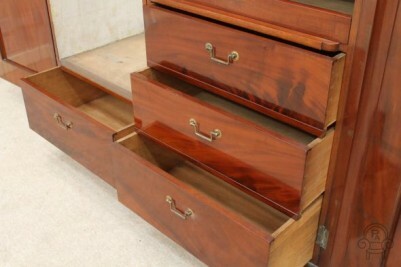 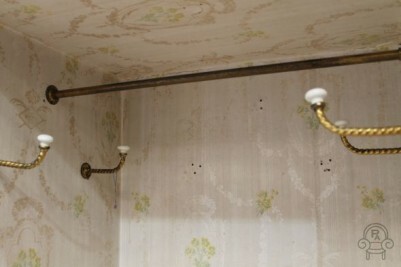 The wardrobe is in very good condition for its age with very little signs of wear and tear. 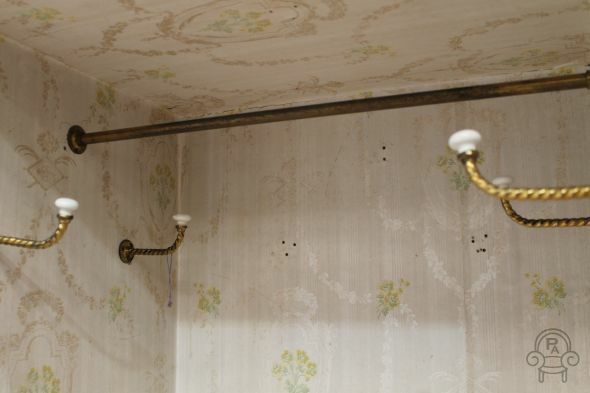 The item breaks down into 4 individual pieces for transportation and reassembly.